The recent snowfall seems to have captured the imagination of UK families as there has been a sudden surge in ski holiday bookings across the Alps and Pyrenees. Ski resorts have seen an increase on average of around 17%. Self-catering accommodation over February half term week is in particular demand. Check out holiday villas at our main website here. “Snow conditions are currently excellent across the Alps with lots of fresh snow and cold temperatures reported, particularly in the Southern Alps in resorts such as Alpe d’Duez and Vars, where snowfall of up to 14cm per day is expected this week,” a Pierre & Vacances spokesperson said. Sales for the end of March are already strong, with ski trips booked for the week before Easter – commencing March 27 – being particularly popular. This week is classed as ‘off peak’ in France, but is a school holiday for much of the UK. British customers are taking advantage of being able to get a low season price for a holiday in a high season week. 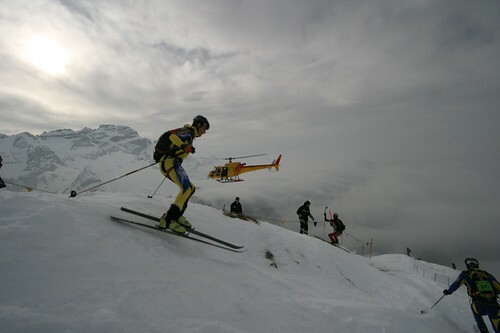 Perhaps the practice of skiing cross country in the UK snow for some people has given them an appetite for more snow abroad! I guess it is because when you taste some snow you want more. I love skiing and snowboard.